There are several graduate RA positions available in my group. If you are interested in Cyber-Physical Systems, Internet of Things, or Data Science, please send me your CV (for existing RU students) or mention my name in the cover letter of your application package (for prospective students). For current Rutgers students, I strongly suggest you take my course, if you are interested in research in my group. Desheng is an assistant professor at the Department of Computer Science, Rutgers University. Previously, Desheng was offered the Senseable City Consortium Postdoctoral Fellowship from MIT, and awarded his Ph.D in Computer Science from University of Minnesota. Under the White House Smart Cities Initiative, Desheng is interested in bridging Cyber-Physical Systems (as known as Internet of Things under some context) and Data Science in Extreme-Scale Data-Intensive Urban Infrastructure from an Interdisciplinary perspective. He is focused on the life cycle of data-driven urban systems, from mobile data collection, to cross-domain data fusion, heterogeneous model integration, visual data analytics, system optimization and application deployment. He strategically positions his research on Real-Time Interactions of Cross-Domain Urban Systems, i.e., transportation (e.g., taxis, buses, trucks, subways, bikes, personal & electric vehicles), telecommunication (e.g., cellphones), finance (e.g., smartcards), social networks (e.g., check-in and app logs), and geography (e.g., road networks). He has been investigating platforms across 8 cities on 3 continents with 100 thousand app users, 500 thousand vehicles, 10 million phones, 16 million smartcards, and 100 million residents involved. His technical contributions have led to more than 20 papers, featuring 11 first-author papers in premium venues, e.g., MobiCom, SIGSPATIAL, SenSys, IPSN, ICCPS, BigData, RTSS, ICDCS. 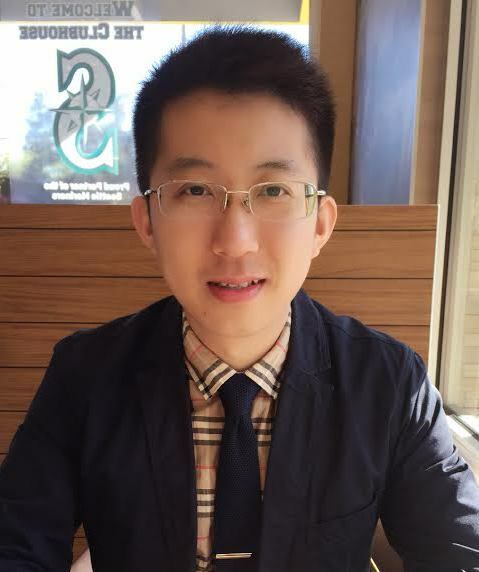 Desheng has been honored with 6 best paper/thesis/poster awards and the Chinese Government Award as one of only 4 Computer Science students among 250 thousand Chinese students in US. During his free time, Desheng likes to travel. Here is a map about cities he has been visited so far in US. 04.19: NSF S&AS Award as Lead PI. 04.19: 1 Paper accepted by ICDCS'19. 04.19: 2 Paper accepted by UbiComp'19. 01.19: 1 Paper accepted by WWW'19. 10.18: 2 Papers accepted by MobiCom'19. 09.18: 1 Paper accepted by RTSS'18. 09.18: 1 Paper accepted by SenSys'18. 09.18: 4 Papers accepted by UbiComp'18. 12.17: 1 Paper accepted by ICCPS'18. 12.11.17: Desheng gave a talk at Columbia University. 7.16.17: Desheng gave a talk at Peking U. 4.18-4.21.17: Desheng attended ACM/IEEE CPSWeek at CMU. 11.14-11.16.16: Desheng attended ACM SenSys'16 at Stanford. 10.31-11.3.16: Desheng attended ACM SigSpatial'16 in San Francisco. 10.3-6.16: Desheng attended ACM MobiCom'16 in New York City. 8.16: Desheng joined the Computer Science Department at Rutgers, the State University of New Jersey as a tenure-track Assistant Professor. 2.16: Desheng presented his work for Smart Cities at Carnegie Mellon. 2.16: Desheng presented his work for Smart Cities at Georgia Tech. 1.12-13.16: Desheng presented his work for Smart Cities at Case Western Reserve University in Cleveland. 12.14.15: Desheng presented his work for Smart Cities at City University of New York in NYC. 11.16.15: Desheng presented his work for Smart Cities at the NSF CPS PI Meeting in Washington, D.C.
11.6.15: Desheng presented his paper for Urban-Scale Human Mobility at ACM SIGSPATIAL'15. 9.15.15: Desheng gave a talk on Urban Cyber-Physical Systems at HK Poly U. 8.24-28.15: Desheng gave several talks on Cyber-Physical Systems at Tsinghua University, Peking University and Chinese Academy of Sciences. 6.30.15: Desheng gave a talk on Cyber-Physical Systems at New York University. 6.8.15: Desheng gave a talk on Urban Cyber-Physical Systems at IBM Research. 5.6.15: Desheng gave a talk on Urban Cyber-Physical Systems at MIT. 4.17.15: Desheng gave a talk on Urban Cyber-Physical Systems at Microsoft. Yu Yang, Xiaoyang Xie, Zhihan Fang, Fan Zhang, Yang Wang, and Desheng Zhang. VeMo: Enabling Transparent Vehicular Mobility Modeling at Individual Levels with Full Penetration. In ACM MobiCom'19. Guang Wang, Xiuyuan Chen, Fan Zhang, Yang Wang, and Desheng Zhang. Experience: Understanding Long-Term Evolving Patterns of Shared Electric Vehicle Fleets. In ACM MobiCom'19. Zhihan Fang*, Yu Yang*, Shuai Wang, B Fu, Z, Song, Fan Zhang, and Desheng Zhang. MAC: Measuring the Impacts of Anomalies on Travel Time of Multiple Transportation Systems. In ACM UbiComp'19. Shuai Wang, Tian He, Desheng Zhang, Y.Liu, Sang H. Son. Towards Efficient Sharing: A Usage Balancing Mechanism for Bike Sharing Systems. In WWW'19. Xiaoyang Xie, Zhihan Fang, Yu Yang, Yunhuai Liu, and Desheng Zhang. 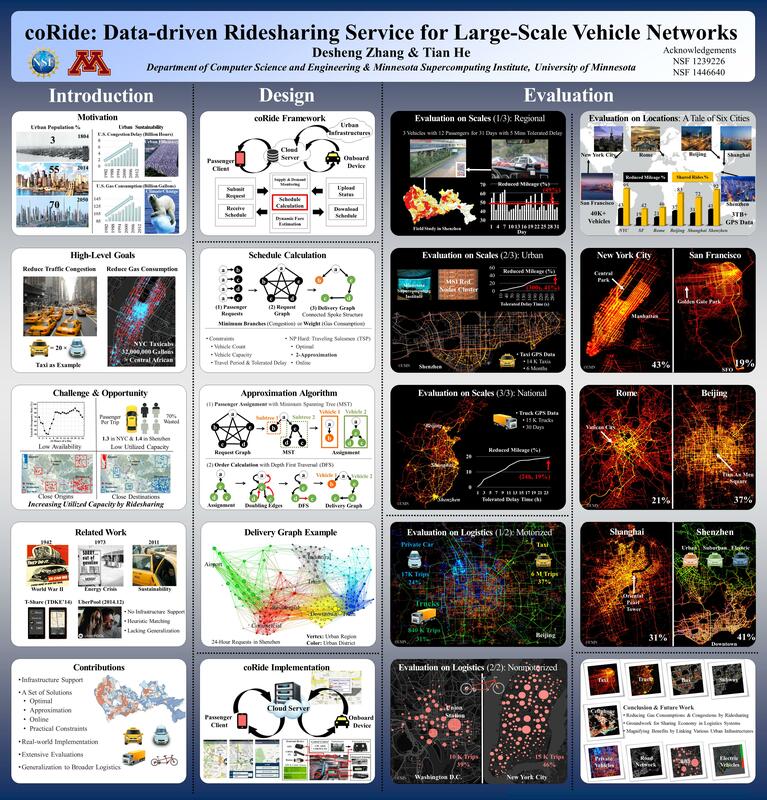 coSense: Collaborative Urban-Scale Vehicle Sensing based on Heterogeneous Fleets. In ACM UbiComp'19. Zhou Qin, Zhihan Fang, Yunhuai Liu, Chang Tan, Wei Chang, and Desheng Zhang. EXIMIUS: A Measurement Framework for Explicit and Implicit Urban Traffic Sensing. In ACM SenSys'18. Guang Wang, Xiaoyang Xie, Fan Zhang, Yunhuai Liu, and Desheng Zhang. bCharge: Data-Driven Real-Time ChargingScheduling for Large-Scale Electric Bus Fleets. In IEEE RTSS'18. Zhihan Fang, Fan Zhang, Ling Yin, and Desheng Zhang. MutliCell: Urban Population Modeling based on Multiple Cellphone Networks. In ACM UbiComp'18. Xiaoyang Xie, Fan Zhang, and Desheng Zhang. PrivateHunt: Multi-source Data-driven Dispatching in For-Hire Vehicle Systems. In ACM UbiComp'18. Yu Yang, Fan Zhang, and Desheng Zhang. SharedEdge: GPS-Free Fine-Grained Travel Time Estimation in State-Level Highway Systems In ACM UbiComp'18. S. Wang, T. He, Desheng Zhang, Y.Shu, Y.Liu, Y.Gu, C.Liu, J.Lee, and S.Son. BRAVO: Improving the Rebalancing Operation in Bike Sharing System. In ACM UbiComp'18.